I have just come across the work of Andreas Karaoulanis. His animations are 'stop me in my tracks' beautiful. I have watched some from his vimeo channel, but felt I must post this to keep track of this great work. The illustrations in a moving collage type style are so rhythmic. The movements and the flat arrangement of objects and cut outs in a formless and groundless space, in fact, the space is just a background colour in many works, is perfectly in tune with the musicality of the music, not just a synchronised beat but a whole mood, style and playfulness that may not even be apparent in the music, if one listened to the music on its own, but emerges with his playful rhythms and arrangement and positioning of independent yet connected to each other graphic elements. This is really wonderful choreography and movement. "Andreas Karaoulanis comes from a Computer Science studies and Animation. His current work deals with interactive media design and animation. He has presented his work in Museums in London, Moscow, Paris and in various Galleries and spaces around Europe. One of his latest projects is "bestbefore", an online interactive showcase blog with tens of daily visitors. He is a member, along with Antonis Anissegos of the duo "Best before Unu", focusing on improvised audio-visual relationships. His work concentrates on the deconstruction and abstraction of visual narration. 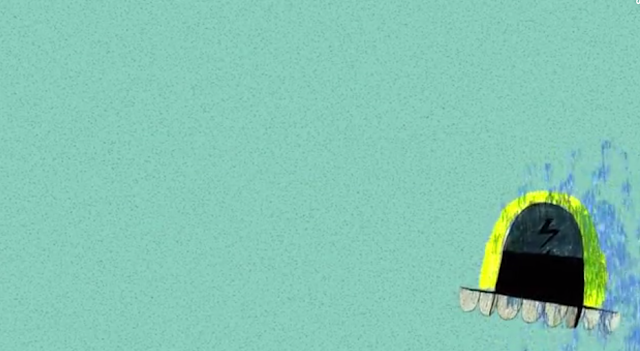 He creates animations as anti-narrations that analyze the relation between object and recipient. With various techniques he discovers the interplay between sound and abstraction as well as movement and animation. Lately he collaborates with the dancer Katerina Liana, working in an embodied visual research performing output experiments, as well as with Celsious -4 an artist group focusing on dance, video, programming, musical instruments and soundscapes." Antonis Anissegos: Piano Etude Nr. 3 (1997) Bestbefore: Animation from bestbefore on Vimeo. 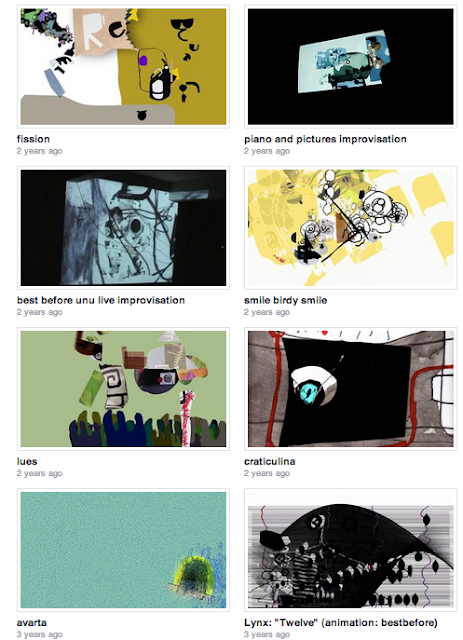 > figure series pt / 2 from bestbefore on Vimeo. avarta from bestbefore on Vimeo.